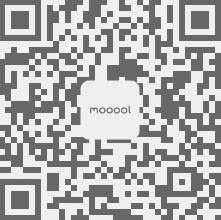 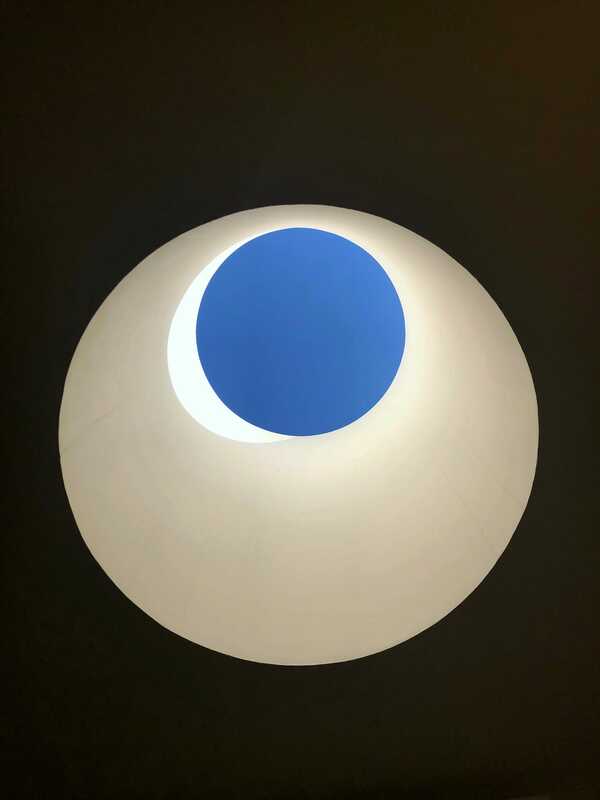 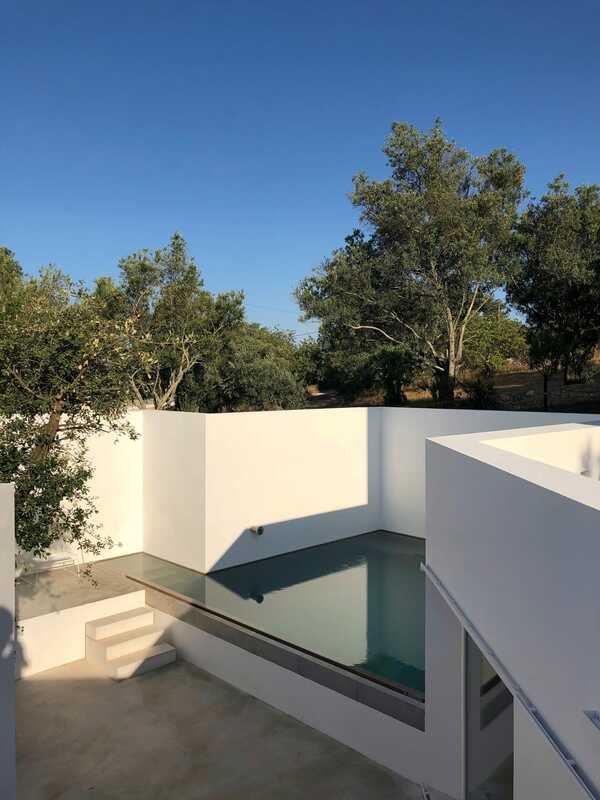 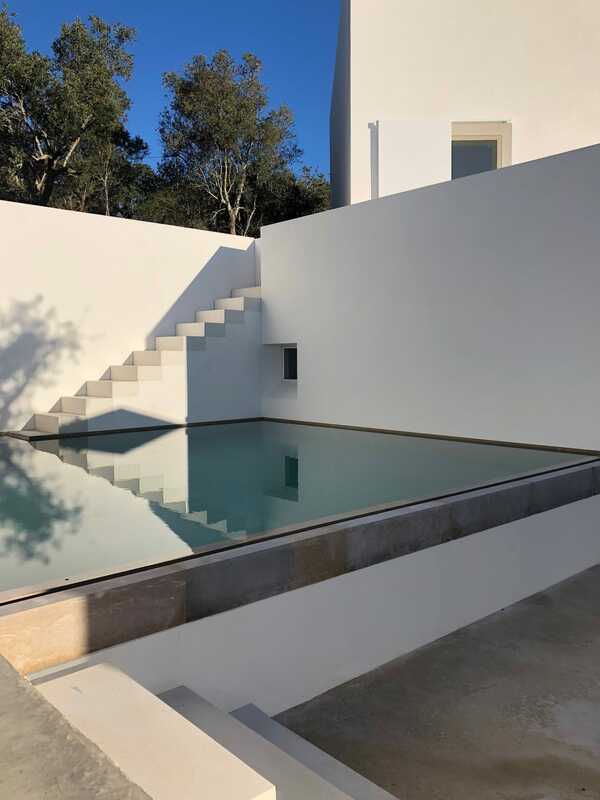 Thanks Pedro Domingos Arquitectos for authorizing the publication of the project on mooool, Text description provided by Pedro Domingos Arquitectos. 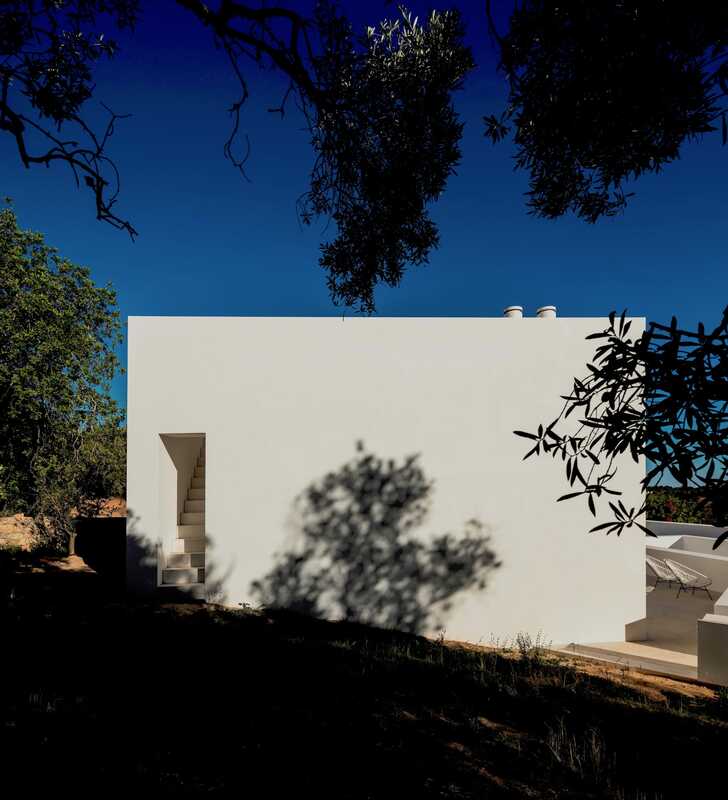 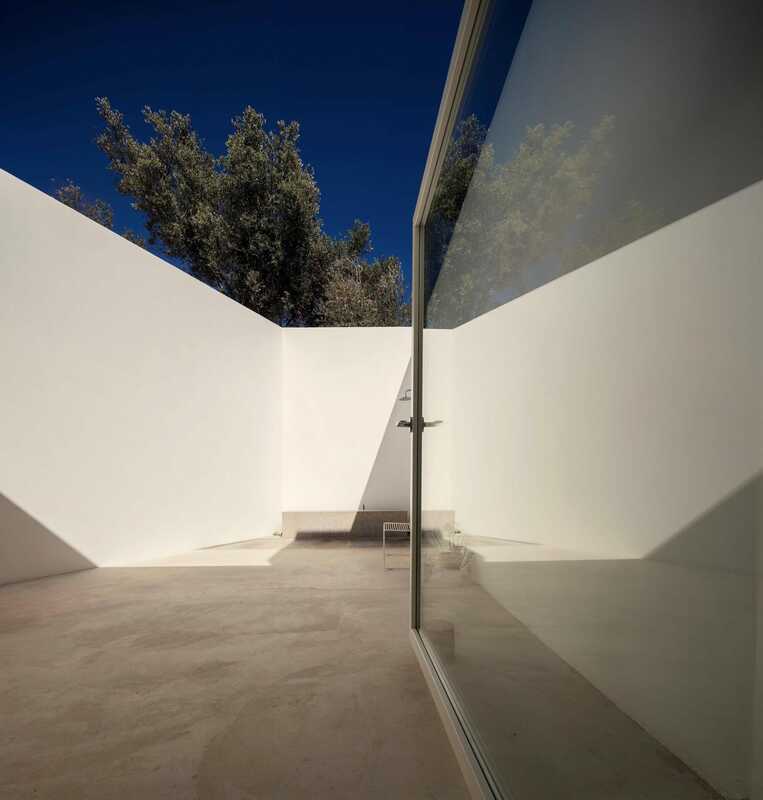 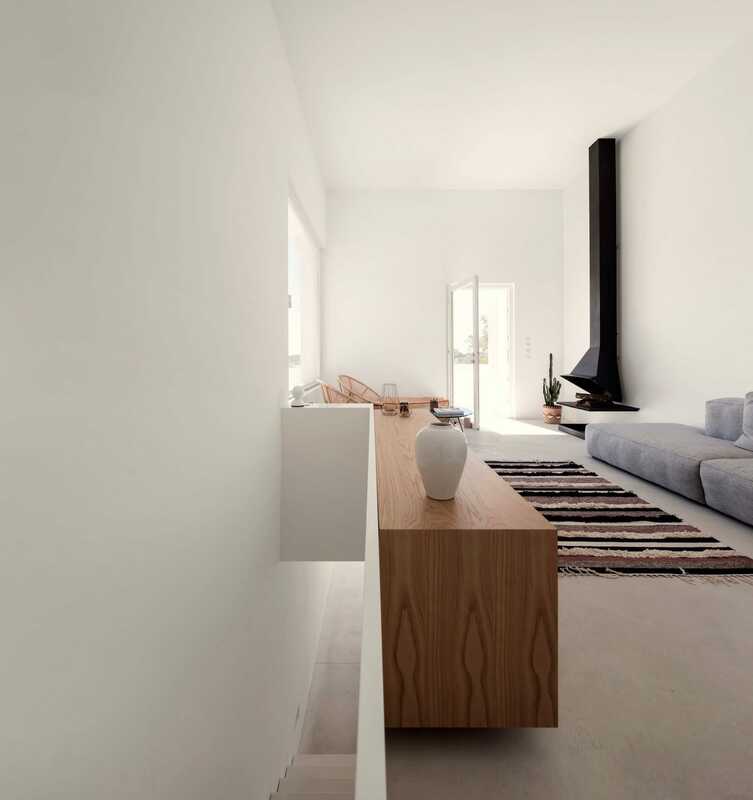 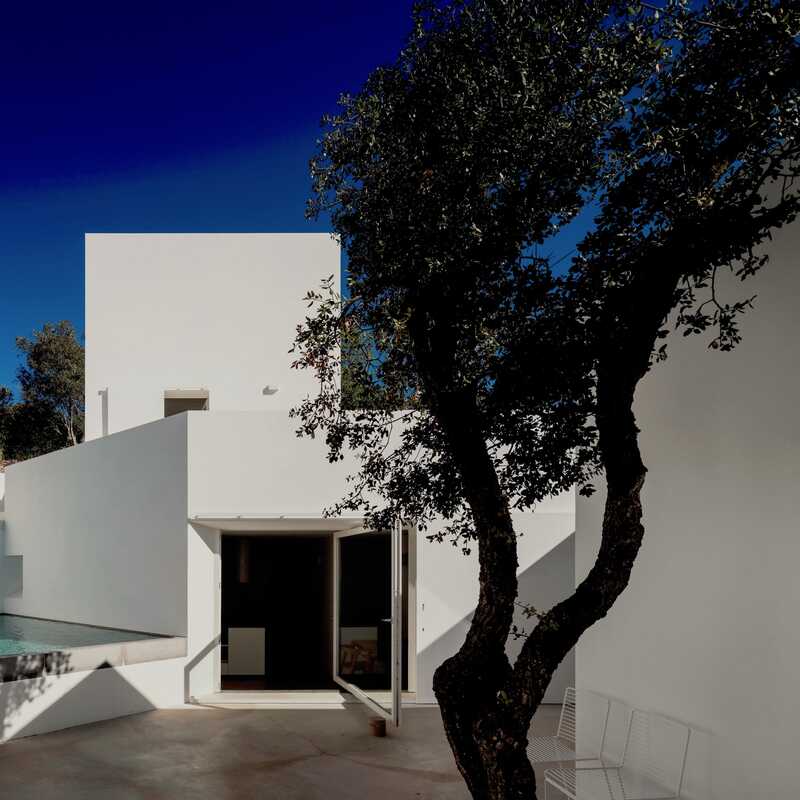 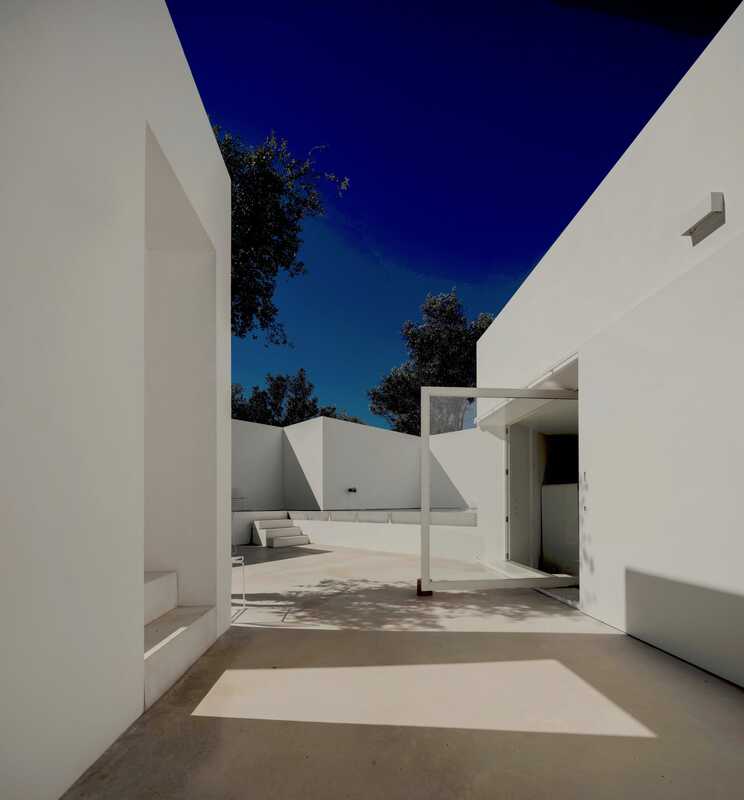 Pedro Domingos Arquitectos：The house is located in the hills of Faro, facing the valley of Agostos. 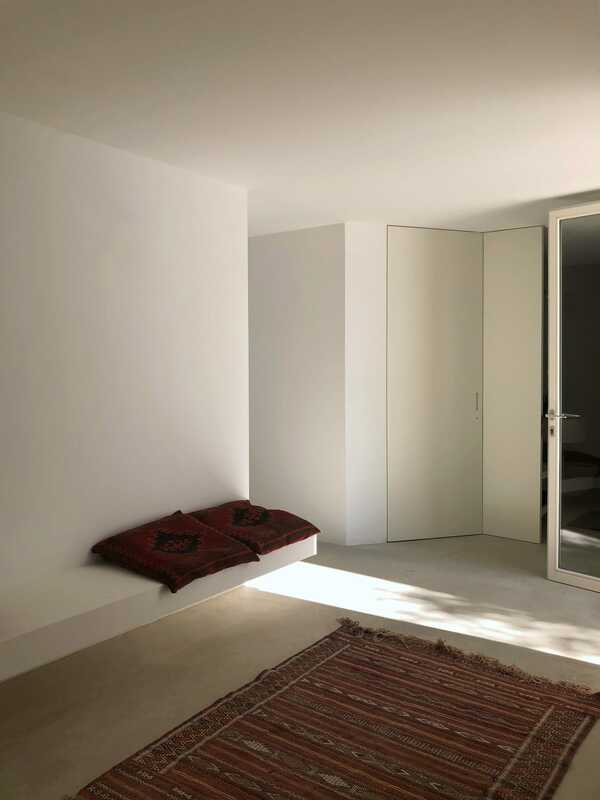 An interior place protected from the coast. 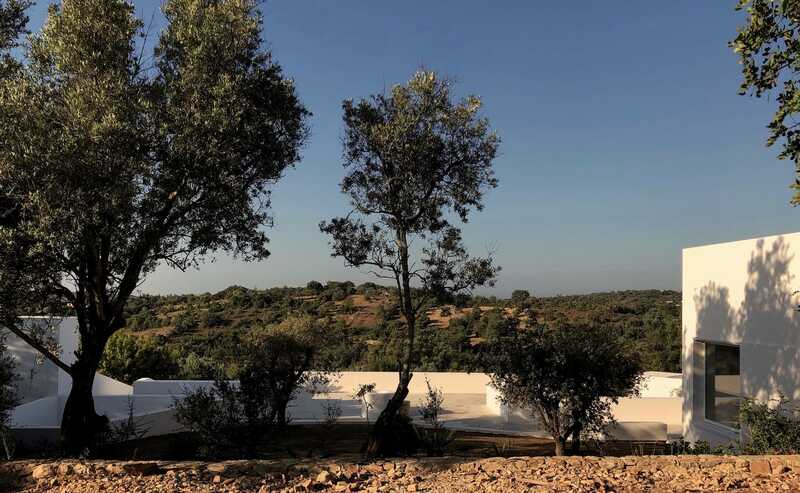 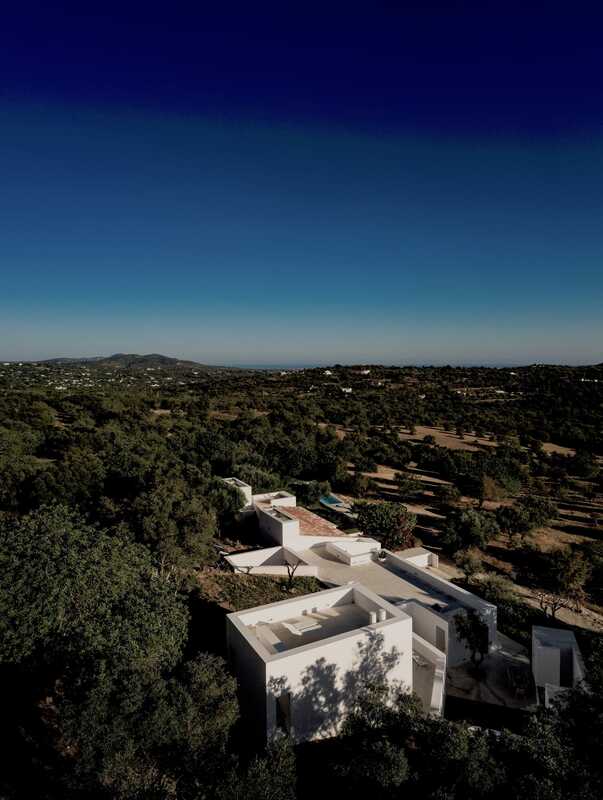 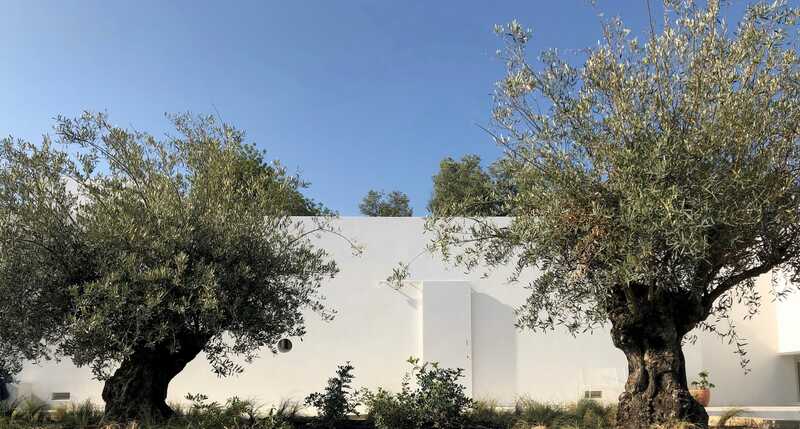 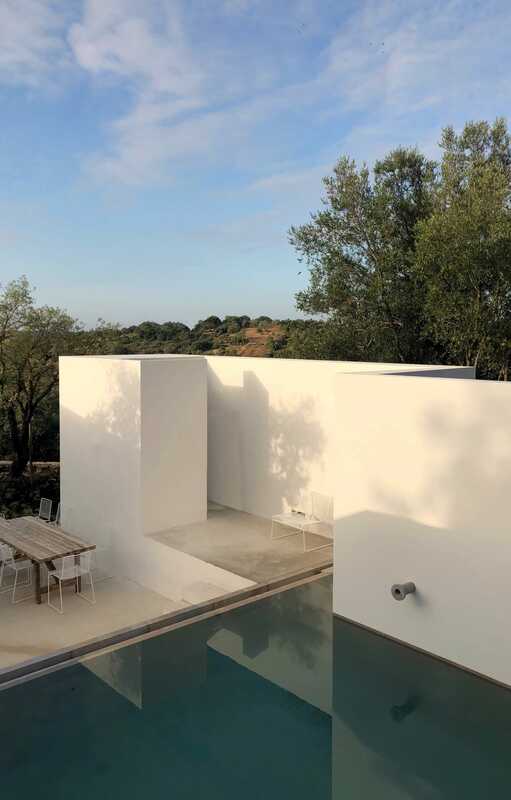 A landscape based on the mediterranean tradition, structured by small plots delimited by stone walls, trees, water tanks and small constructions. 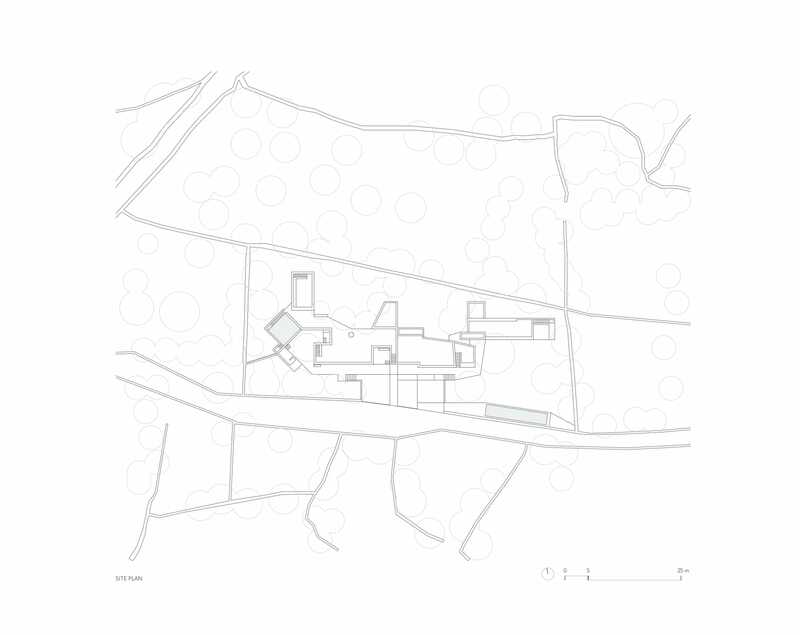 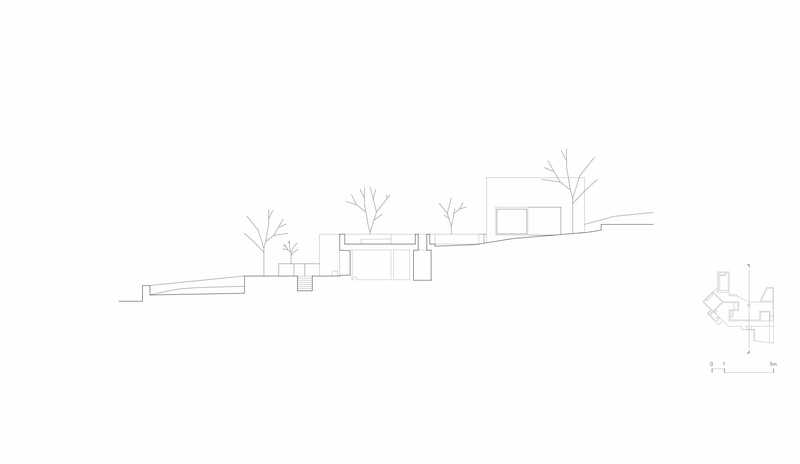 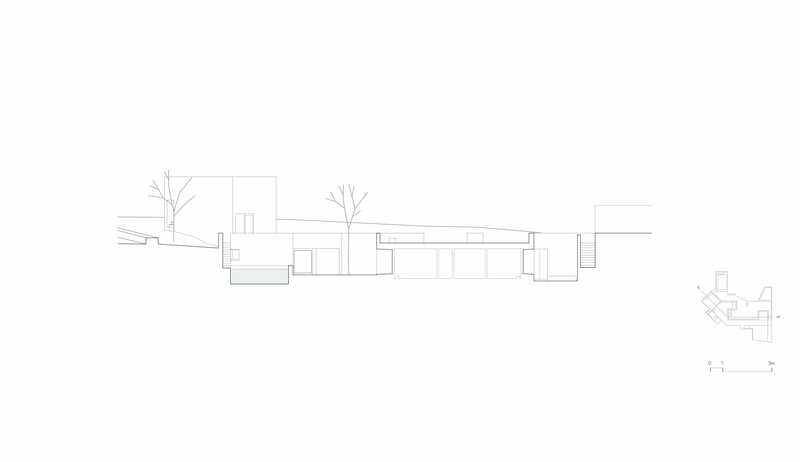 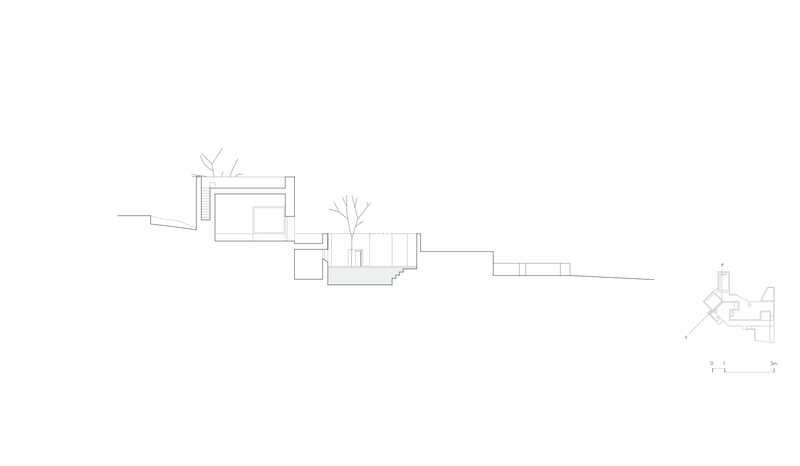 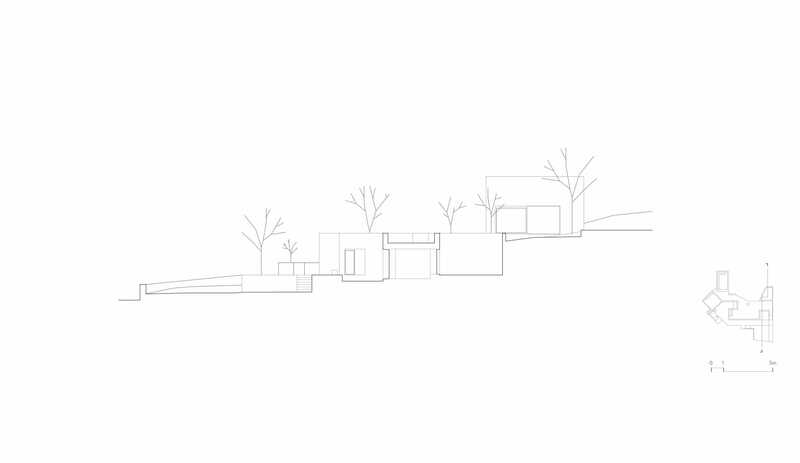 The house is implanted in this context embedded in the slope twinned to another existing house. A walled patio is the central space of the house, an outside living room that contains a raised water tank. 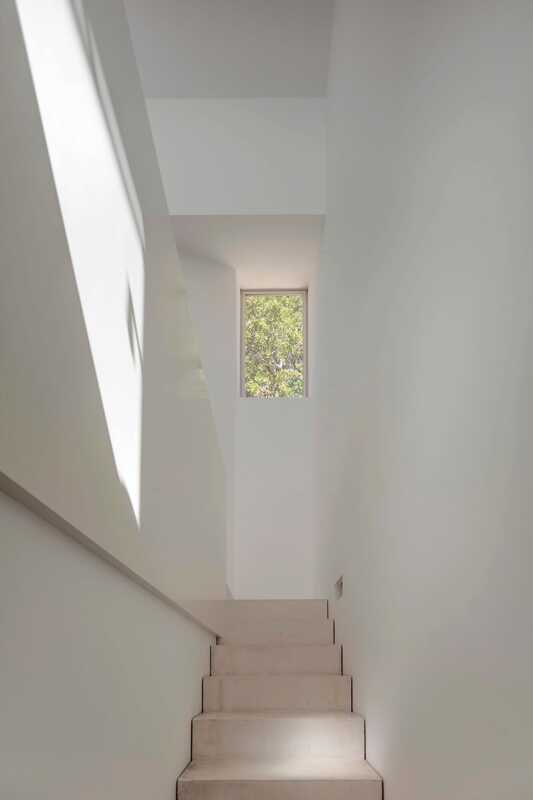 The program of the house is organized in two levels. 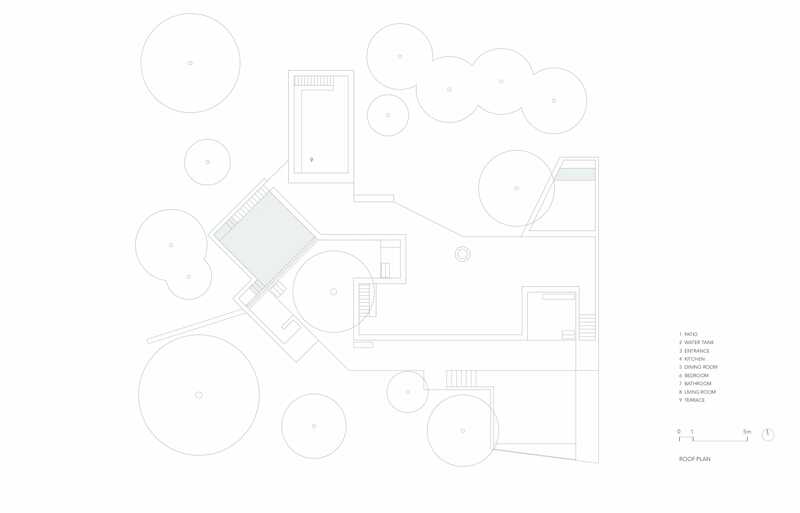 The entrance level: the patio, the tank, the kitchen and four bedrooms. 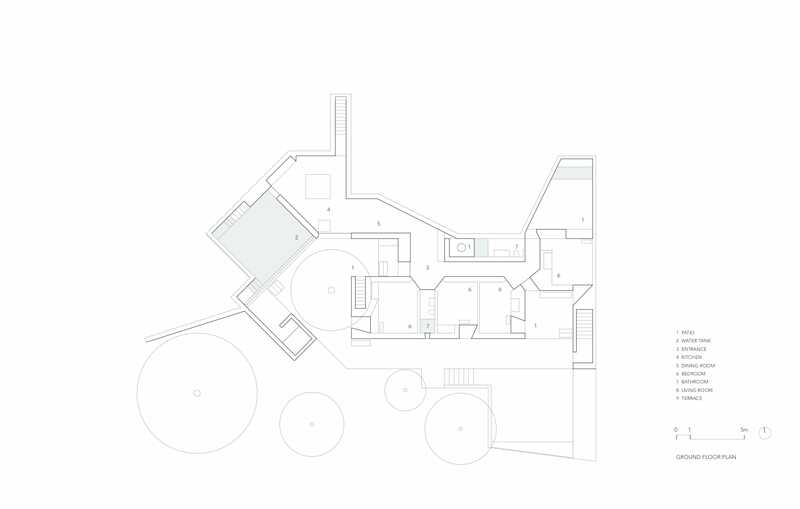 And the upper level: the living room and the solarium. 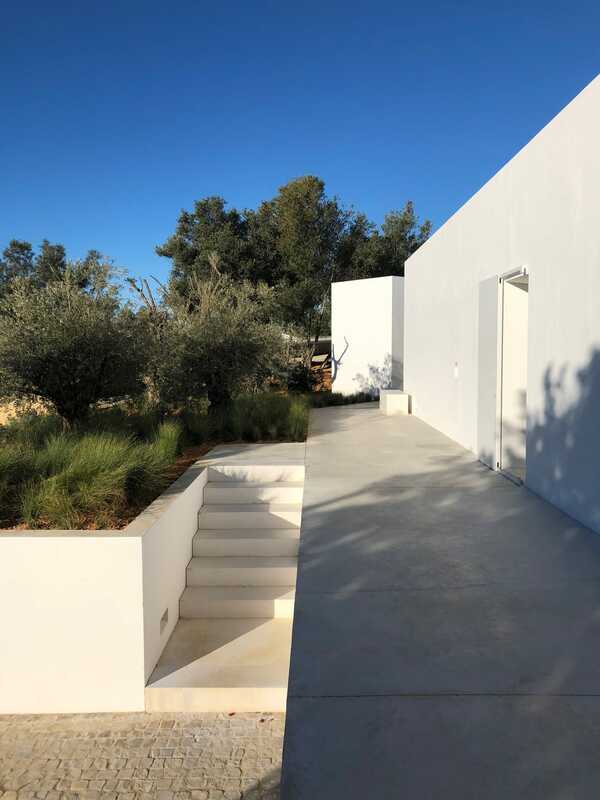 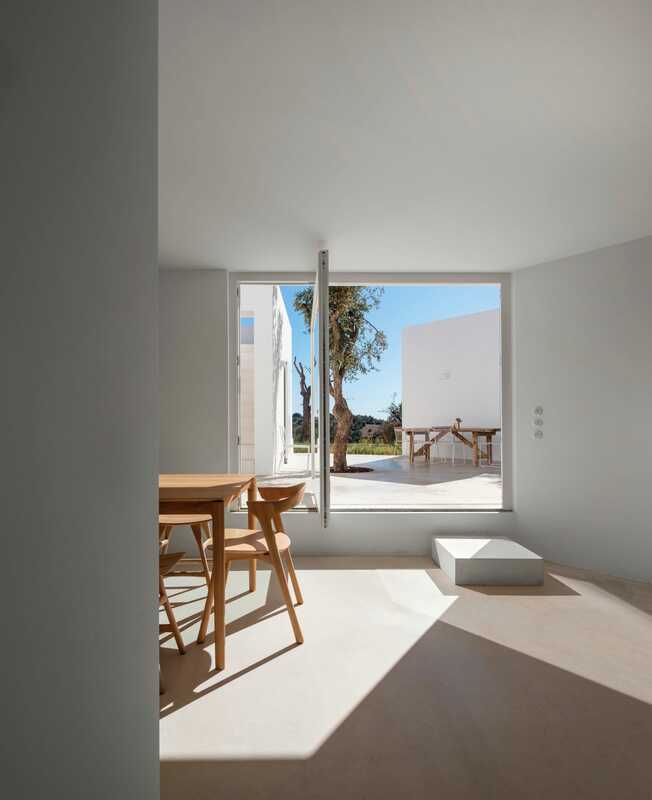 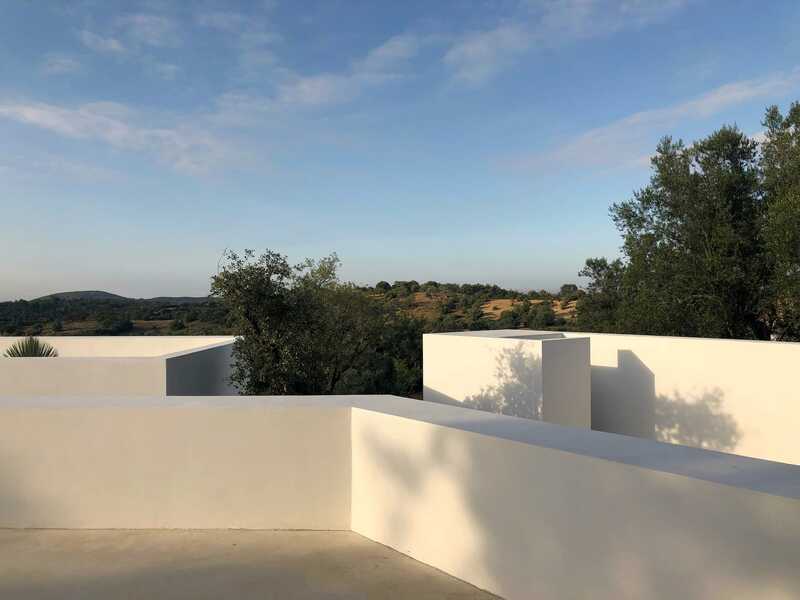 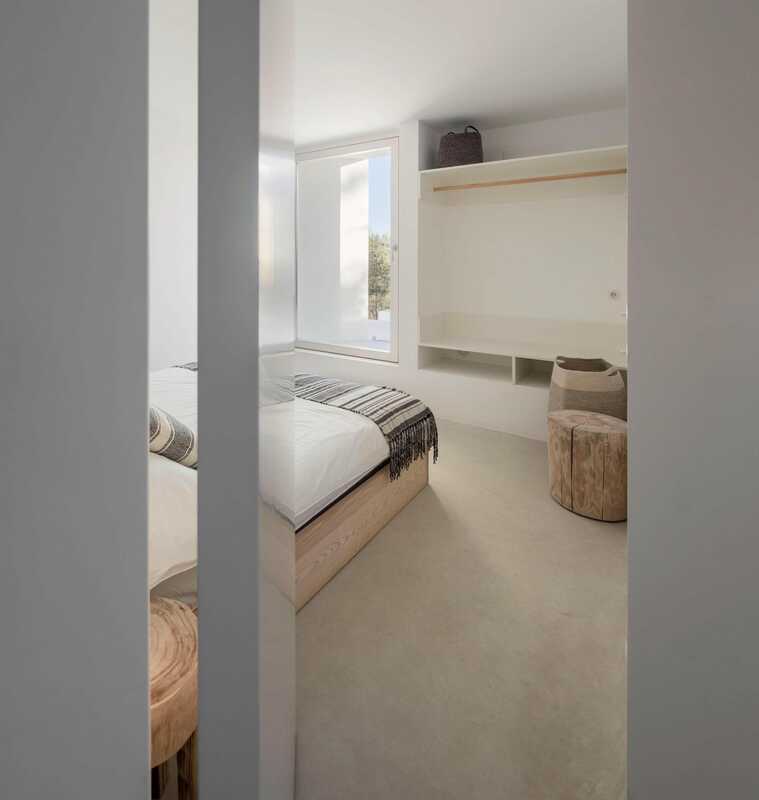 The house is built with an elementary system similar to local popular architecture: white concrete floors, white walls and ceilings, wooden window frames and steel sliding doors. 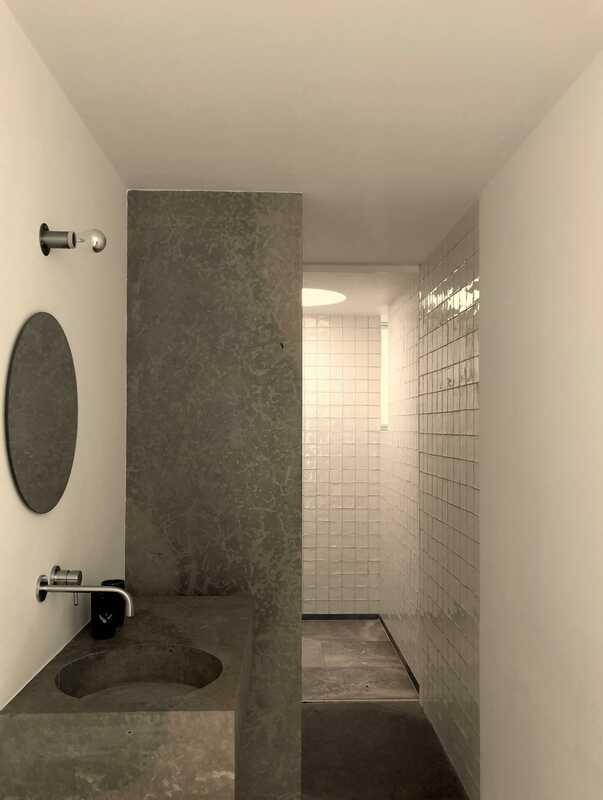 The water containers of the house: bath tank, counters, washbasins and showers, are made in massive local stone. 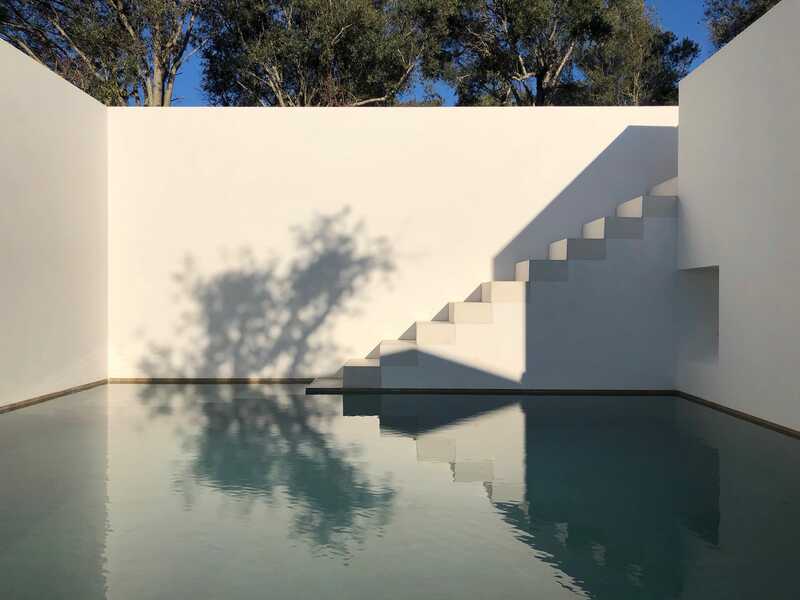 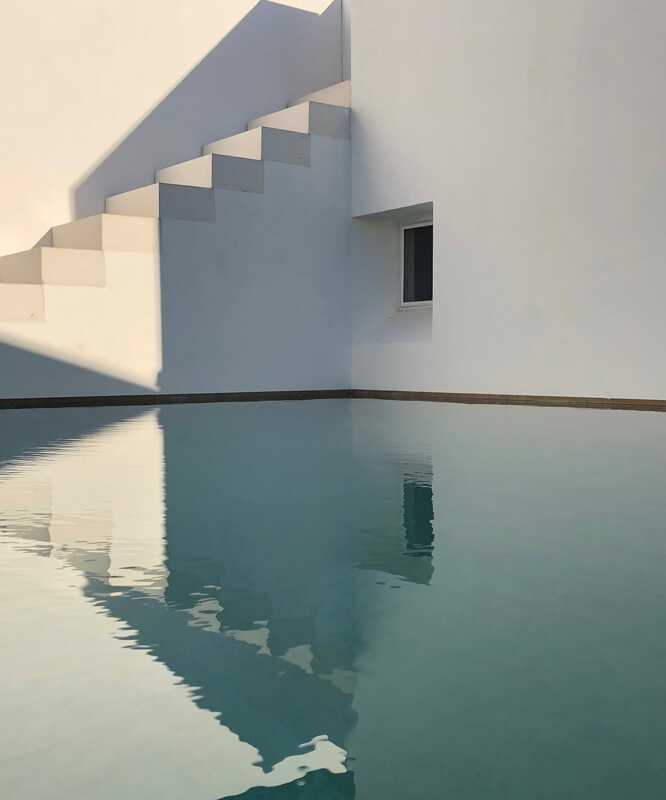 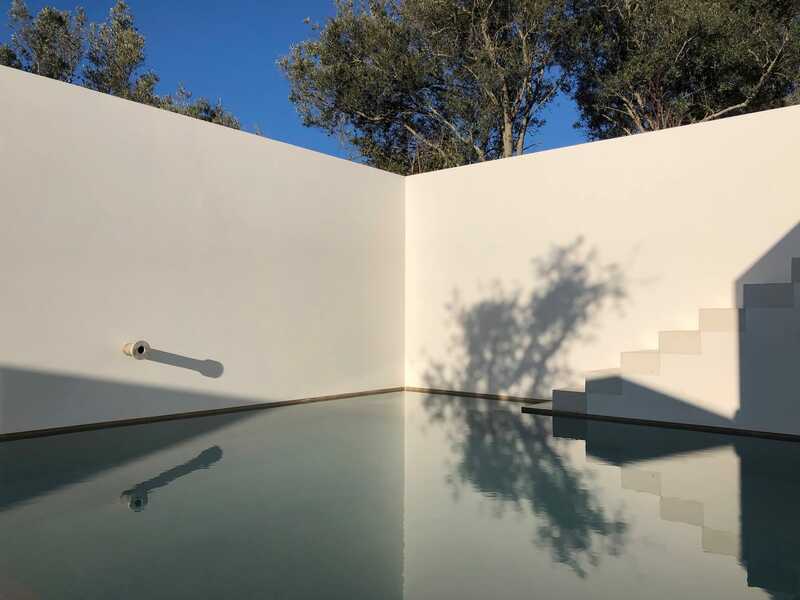 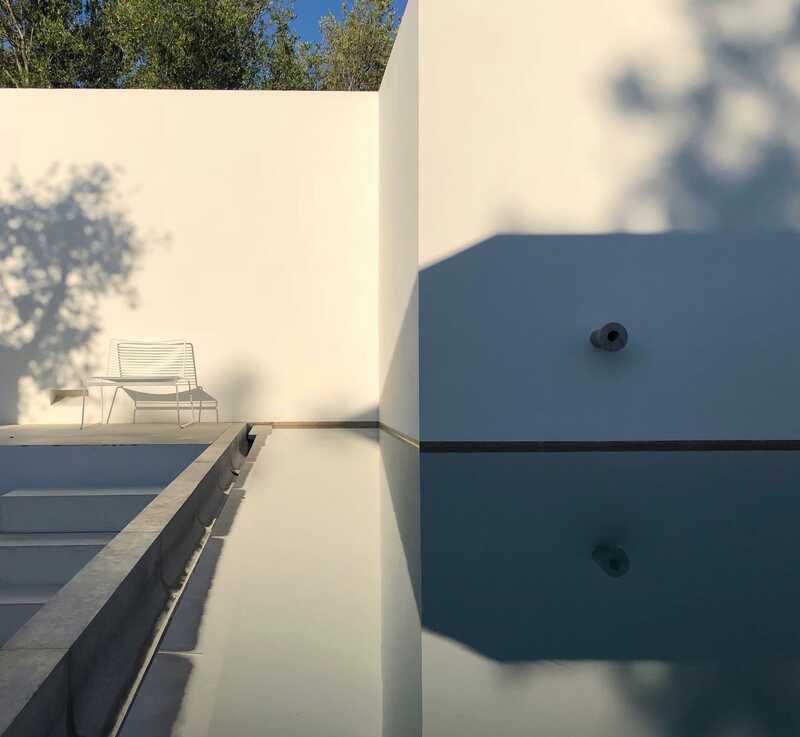 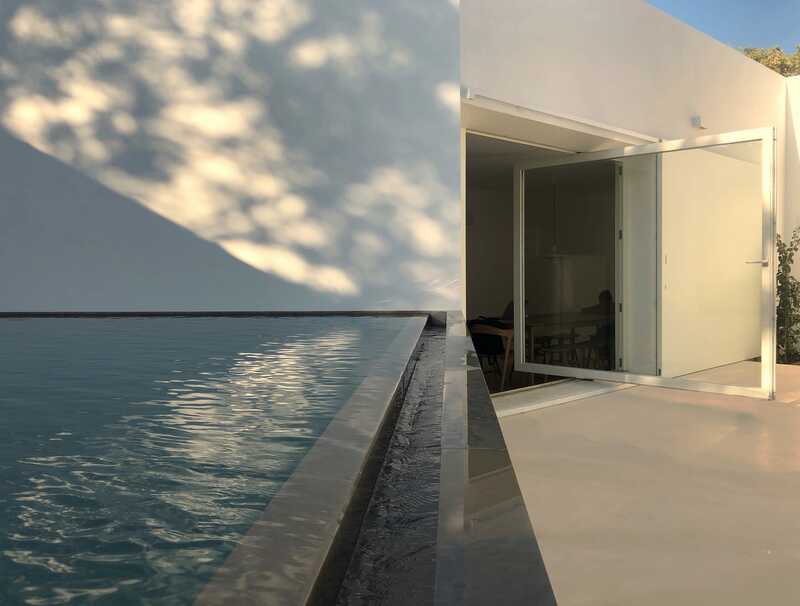 The atmosphere of the house is defined by a set of spaces of light and shadow where the water is the primordial material. 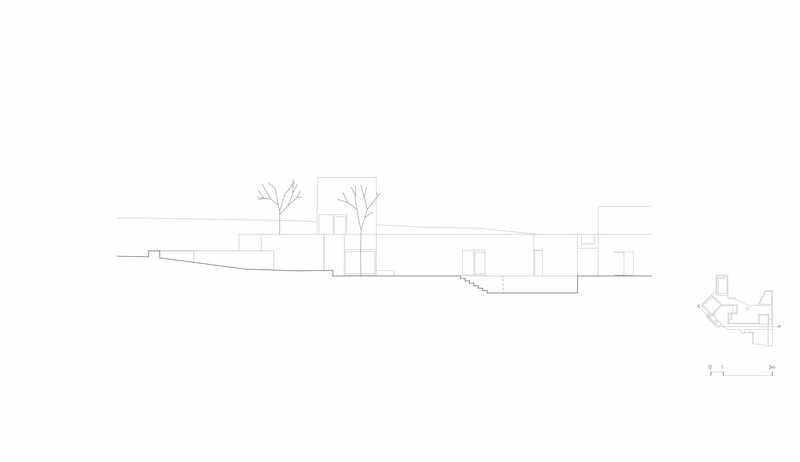 Collaborators: Bruno Antão (project leader), Pedro Gonçalves, David Delgado, João Bagorro. 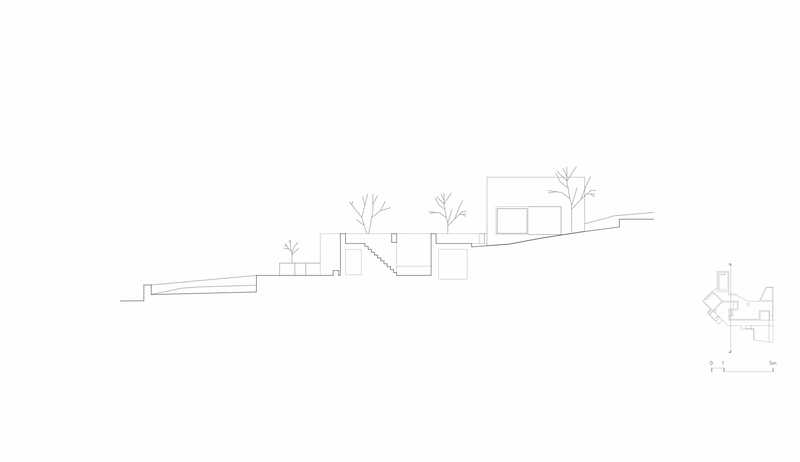 Architecture local team: Estúdio ODS, Bruno Oliveira e Edite Borges.